Sacha Lodge private ecological reserve is accessible after a flight to Coca and some navigation on motor canoe. 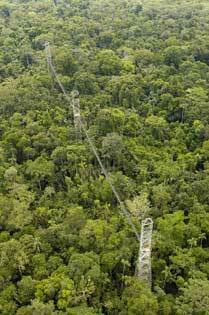 It offers first class services and confort in the Ecuadorian Amazon. 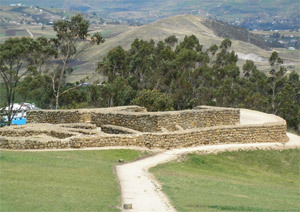 The Archaeological Complex of Tulipe, close to Quito is one of the most important pre-columbian vestiges of a merchants community that spread their knowledge amongst the peoples of the Northern Ecuadorian Andes and Coast. 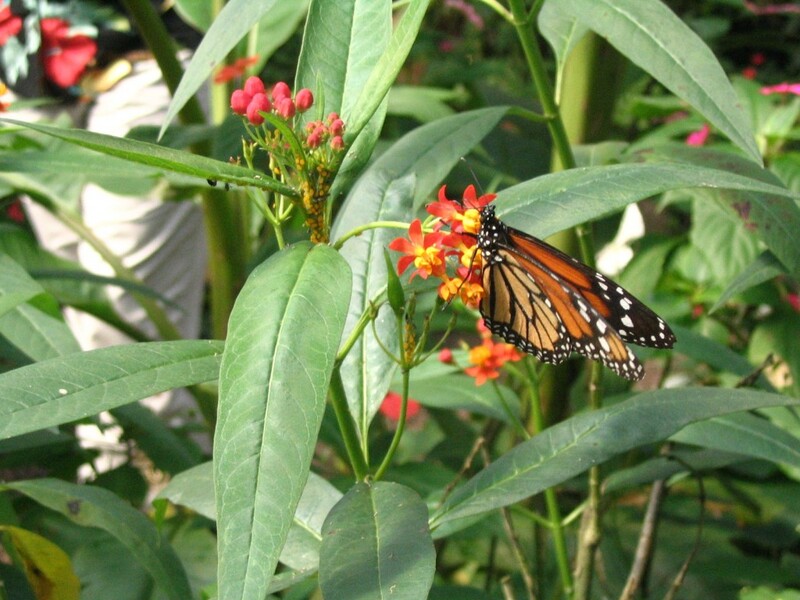 This day starts heading westwards from Quito into the lush cloud forest of the external slopes of the Western Northern Andes, one of the areas of the highest biodiversity of Ecuador. In the Southern Andes near Cuenca, we find El Cajas National Park, located in the majestic west mountain range. It is one of Ecuador’s natural wonders that must be added to the repertoire of every trekking amateur. 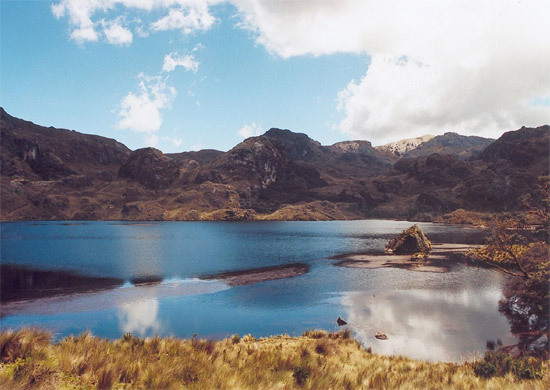 Cajas lies at an altitude between 3200 m and 4500 m and boasts 28,544 hectares of numerous species of flora and fauna and impressive rock formations. Its 235 glacial lakes feed into breathtaking waterfalls, as its rivers descend toward the Pacific while others flow through “el Oriente”, ultimately arriving to the Amazon River. In addition to hiking, you can enjoy freshwater trout fishing, while listening to the wild birds singing in the background. There are approximately 125 species of birds inhabiting Cajas which include: the condor, the violet-tailed metaltail, sword-bill, shining sunbeam, sparkling violet-ear, etc. 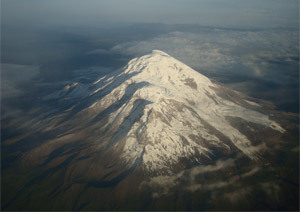 The Northern Andes of Ecuador offer beautiful snowcapped mountains and volcanoes for great trekking trips. 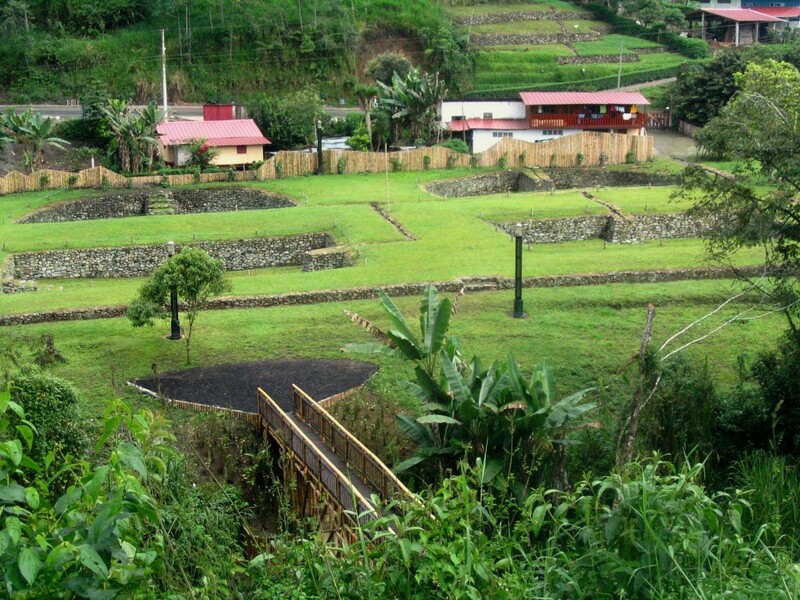 We must add to any itinerary the highlights of the amazing surrounding area such as lakes, moorlands, forest, Indian markets and villages, haciendas and all the components for a unique trekking experience. We recommend visitors to have an appropriate acclimatization process for a better adjustment to the altitude. You can enjoy our daily tours or join a moderate trekking adventure of 2 or more days camping in spectacular natural spots. Choose your preferred tour click here. 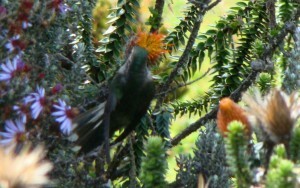 This is a 5 days 4 nights itinerary that take us to the most important bird watching sites in Southern Ecuador, from high moorland (paramo), to cloud forest areas, subtropical valleys, dry forest and tropical zones, so it gathers a wide range of great ecosystems for an abundant diversity of birds, including some endemic species, also in a very small area we have the chance to see completely different areas.